A guest favorite. Our Honeymoon Cottagette is for the lovers. New lovers, old lovers, lovers of art & life. A separate entrance gives you a private cozy space. Trust us -- you'll find it hard to believe that such an ambient little oasis exists quietly, here in the heart of Albuquerque. 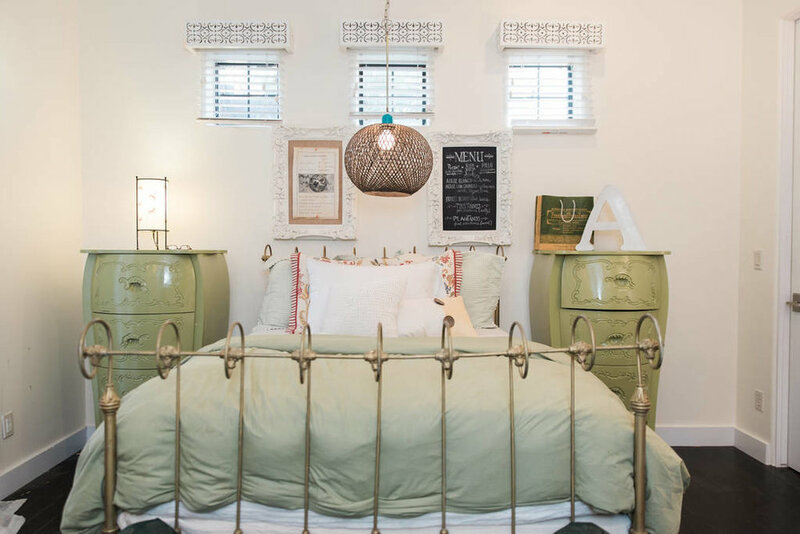 Vintage charm -- The Amelia is a minimally, tastefully designed single room in the Atelier House. Here lives the world's fluffiest bed, you'll never forget your time as you explore your possibilities. Access to the beautiful great-room, with a fireplace and full kitchen-dining room. A delight for photographers. 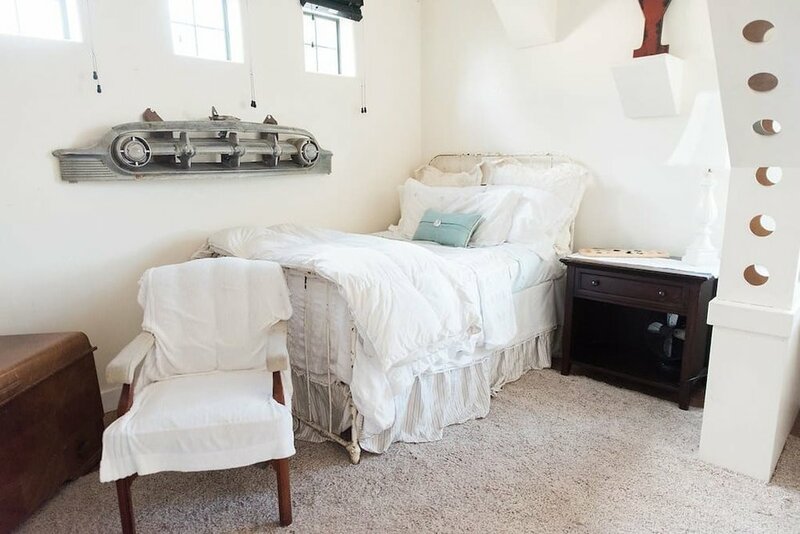 With deluxe full bed, the Paris room features a sewing machine/desk for planning your adventure, closet, & a cozy vintage loveseat. Perfect for you & your best friend to pick a day for Paris. Includes access to the beautiful great-room, with a fireplace and full kitchen-dining room in the Atelier House. A luxury single bed for a single-minded head. Bring your thoughts captive, while you take new perspective. 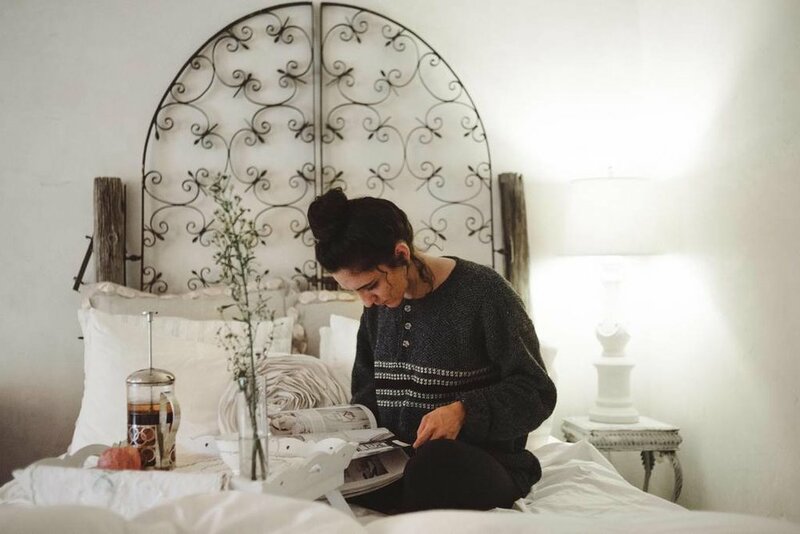 Perfect for all a variety of travelers, but especially the one who needs some simple quiet and a relaxing space to come home to. Features a writing desk & a closet. In the Atelier House, with access to the beautiful great-room, its fireplace, & a full kitchen-dining room. Whimsical & roomy -- with a fireplace to boot -- this suite is for you There's a bathroom you can dance in, deep tub for soaking, & of course, a private balcony with gorgeous views of the famed New Mexican sunsets. In the Big House, includes access to the spacious, shared common area & the accommodating full kitchen. An open, airy space to bring you peace of mind. For your body too, there's a large, comfortable bed with luxury linens. And for your heart, a conducive little space for writing (yes, you can try out the typewriter), painting, reading, or watching the hummingbirds flit past in the garden outside your window. Come revitalize here, when you're ready. In the Big House, includes access to the spacious, shared common area and the accommodating full kitchen. One marvelously cozy double bed, cozy linens, a private bath and shower, all with a separate entrance for ultimate privacy. 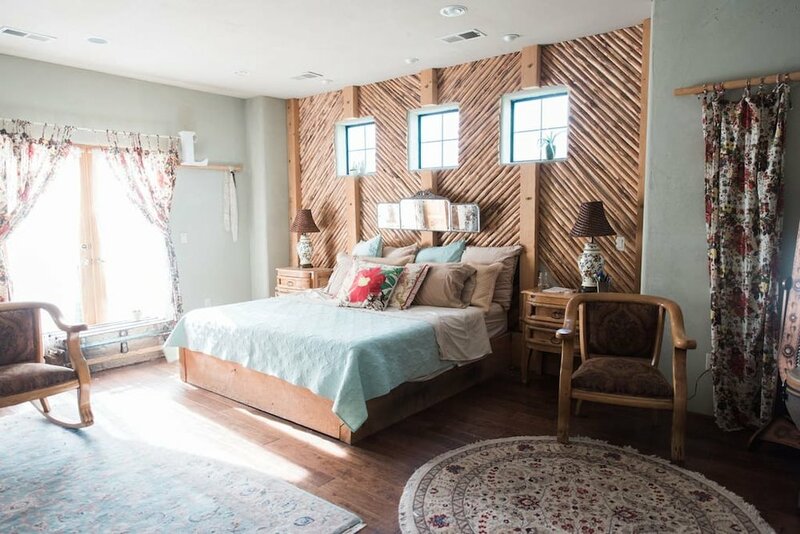 Recently updated to reflect a more modern and neutral pallet, this comfortable and secluded room is perfect for a restful night's sleep -- whether you're traveling or practicing some self-care here in Albuquerque. In the Big House, includes access to the spacious, shared common area and the accommodating full kitchen.